Argentina maintained their 100 percent record at the Copa America Centenario on Tuesday with a 3-0 victory over hapless Bolivia. The tournament favorites, already assured of a quarter-final berth after wins over Chile and Panama, wrapped up their Group D campaign with an easy win at Seattle’s CenturyLink Field. 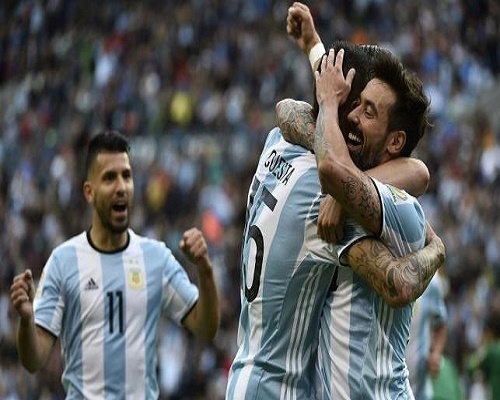 The victory sees Argentina reach the last eight as group winners, handing them what in theory should be a straightforward assignment against Venezuela in Foxborough on Saturday. The two-time world champions are determined to end a 23-year wait for a major title after suffering agonizing defeats in the finals of the 2014 World Cup and last year’s Copa America. On current form few would bet against the South American giants, who could afford to omit Lionel Messi from their starting line-up following his hat-trick display against Panama. The match was effectively settled within the first quarter of an hour, with Tottenham Hotspur winger Erik Lamela opening the scoring with a deflected free-kick in the 13th minute. Two minutes later China-based forward Ezequiel Lavezzi marked his comeback from injury with a goal, volleying home from close range after Gonzalo Higuain’s downward header. Central defender Victor Cuesta made it 3-0 just after the half-hour, diverting home Lavezzi’s low cross in the 32nd minute. Argentina manager Gerardo Martino brought on Messi at half-time, and a one-sided second half soon became a question of when or if the Barcelona superstar could grab a 54th international goal to equal Gabriel Batistuta’s longstanding scoring record. However despite Argentina’s dominance, Messi was unable to add to his team’s tally, his best chance coming with a 25-yard curling freekick which flew just wide of the goal.